I never thought that I would be a journalist. It was never even an idea on my radar when I was younger. It wasn’t until I came to the University of Rhode Island and was exposed to journalism classes when I joined the major and never looked back. I never thought I would write for, and eventually become an editor for, the Good Five Cent Cigar. 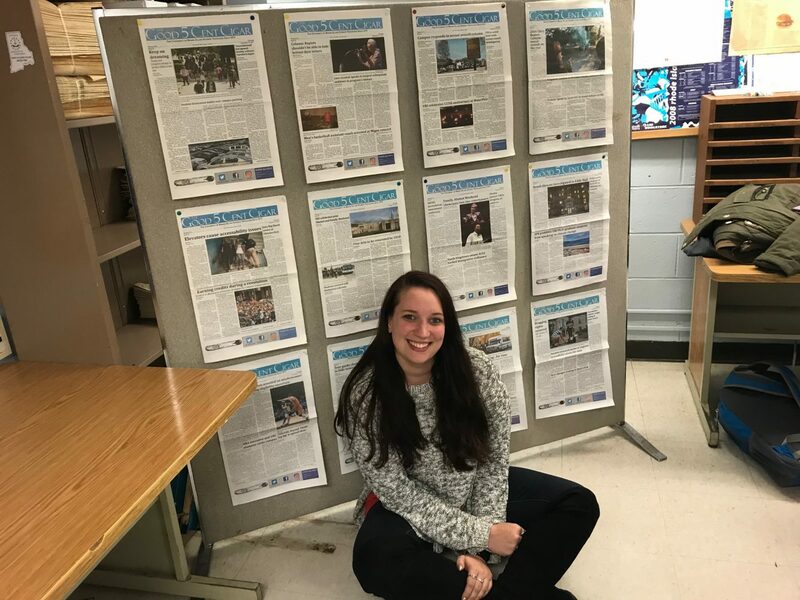 I was basically dragged to meetings my sophomore year by former Editor-in-Chief Emma Gauthier, however it’s something that I cannot not thank her enough for. Because of this organization, I found a stronger voice and a stronger passion for telling stories and helping people through writing. The road wasn’t easy. There have been many late nights, many tears, many mad people and even the thoughts of quitting. But I never did. And I have so much to be thankful for because even with all the bad, there has been so much good. I got to be part of an amazing organization that gave a voice to people who needed it. I got to bring awareness to readers on all topics, the good and the bad. I got to meet some of the most inspirational people and I’ve gotten to work alongside so many incredible, talented, driven and passionate individuals who make saying goodbye so, so hard. But here I am. Three years of writing for the paper, over 100 articles published and a few weeks away from graduation. I’ve written some tough articles but somehow this one beats them out because I do not have the words to show how grateful I am for the opportunities and the friends that the Cigar has given me. If there is one thing you should know about the Cigar, it is that it is a family, as cliché as it is. I have never walked in that office without someone saying hi or telling me about their day. It is filled with the most supportive and close-knit people I have ever met. Even through the bickering, the ridiculous jokes, the backlash and the long nights, this group always has each other’s backs. I am so unbelievably proud to have gotten to be part of this organization, and there are far too many people to thank for making this journey incredible. But to those people, to my editorial team, to my writers and to past members, thank you. From the bottom of my heart thank you. You all have taught me something so important along the way and I don’t believe I will ever forget any of you, not like you’d let me anyways. To those who will be stepping up and taking over after I’m gone, you all know who you are, remember to trust in yourself, trust in each other and trust in the profession. It is with all of that you will have the same strong bond, the same strong support system and the same strong paper that we all have cultivated over the years. To those I have worked with day in and day out; Emma, Allie Lewis, Lianna Blakeman, Nicholas Bush, Sam Murray, Zack DeLuca, Stone Freeman, Autumn Walter and Rebecca Dickinson, you are all incredible and talented people that I have had the honor of working with. Thank you for the laughs, all the good times and helping me work my way through the crazy journey we have had. To those graduating, I know you’re going to do amazing things and I can’t wait to watch what you get up to. To those who have some more time at URI, use it wisely and continue to be the headstrong people I have learned that you are because it is there where you are your strongest. And to the Cigar readers, I leave you with this: journalism is a hard discipline. It is rigorous and takes a lot of work. But for students, I think we do a pretty good job at something that can take a toll on anyone. Trust in the process and the future work that the Cigar does because there are amazing things that have happened and even more amazing things to come. On May 20, I will don a cap and gown and walk the stage to get a single piece of paper that represents all the hard work I have put in over my years here. On May 21, I will be moving back in with my parents, much to the joking dismay of my father, as I figure out my next move. But I will never forget the memories or the people that have made my journey here absolutely incredible.